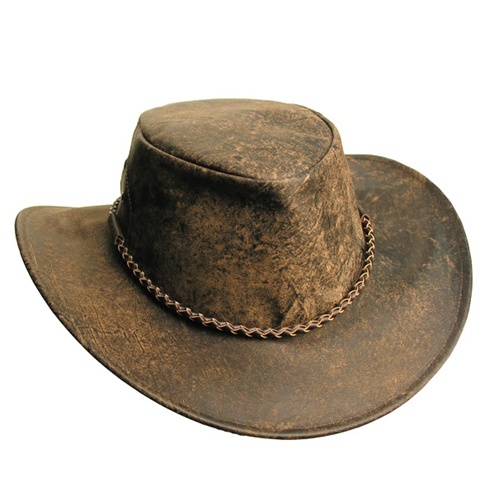 Hat made from fullgrain kangaroo leather, it has a deep lustre yet is ultra lightweight and crushable. Features a round hat band. Small crown, medium brim.